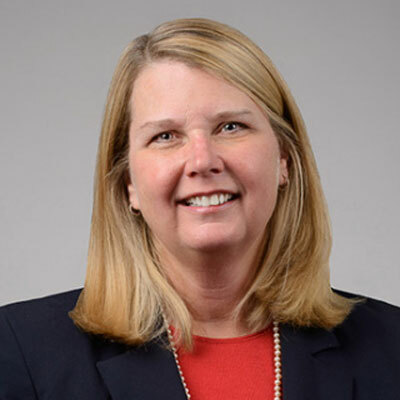 As the Practice Director of Customer Experience for ConvergeOne, Kathy Sobus leads a team with extensive experience in the contact center business, forms strategy and drives partnerships with various vendors. This part of our portfolio is worth $200M+ . She is an expert in the area of customer experience and helps clients enhance their contact centers to more effectively respond to their customers' ever-changing needs. Sobus develops and shares strategy and thought leadership with her continued participation at shows and industry events. She ensures that ConvergeOne offers holistic, relevant solutions and deployment options, including cloud-based, hosted, managed or premises, to meet clients' business needs. Sobus has been awarded thirteen patents, mainly in the area of identifying, routing, and reporting on events that happen within a business. Sobus has held roles that included global contact center lead, contact center strategist and inventor. Sobus also served as the Vice President of Customer Care for Bostonian and Hanover Shoes and Director of Customer Service for a public utility. She earned her Bachelor of Science and Master of Science in Education from the University of Delaware and her Master of Business Administration from the Erivan K. Haub School of Business at Saint Joseph's University. Our channel partners are paramount to our success as a Systems Integrator. We have focused on three key areas. The first is engaging at an executive level. The channel partners we work with understand at the highest levels that we can derive mutual success by working together. Our meetings result in actionable and executable plans. It is so critical to have this level of support. Secondly, deepening the relationship of our vendors at all levels. We have supported promotions for salesforces to come together and develop relationships. These relationships have yielded account planning strategy sessions which have in turn provided sales opportunities and increased profitability. And last but not least, creating successful pull through campaigns incentivizing our sales professionals, and our clients. All of these steps have allowed us to be more effective thereby optimizing our mutual success and financial gains. Our goals for the channel are to continue to work very closely to our top vendors. This means aligning our strategic goals for growth and mutual promotion. We have also developed plans for alternative consumption models (cloud, hybrid, transactional, etc.) to afford our clients comfort in our mutual deployment and managed offers. We have big plans for growth in the Customer Experience business, and our channel partners stand behind us to realize that growth. This past year I had the distinct pleasure of receiving CRN's Women of the Channel award. There were 3 recipients of this award last year from SPS/ ConvergeOne. The distinction has allowed us to show up differently to our channel partners. Just knowing that we were selected for this honor, created differently opportunities for us with our partners. Additionally I've been awarded my 13th patent. These patents are related to our Customer Experience business. Many are both international as well as national. Having a skill of innovation has been key to working with our partners. My choice is Mary Barra, the CEO of General Motors and the first female to head an automotive manufacturer. I admire Ms. Barra for a couple of reasons. First, she has been with GM for a long time, coming up through the ranks and holding many engineering and leadership positions. Secondly I admire her for taking an old company and promoting innovation. To be able to create and launch a vehicle, ahead of competition in the era of alternative fuels is quite a feat. All of this has attributed to a rise in stock prices and valuation of GM. First of all- I would hope I'd listen! "Follow your dreams" and "think big" are two often used terms that I would definitely tell my 16 year old self. Enjoy yourself and adapt to ever changing times would follow suit. Being flexible and enjoying what I've done along the way provides an enormous advantage and satisfaction in this ever changing world (especially in technology). My new-job related skill would be to innovate regularly. The technologies and the way the people want to transact and communicate is bounded only by our imagination. I would spend time thinking about the future and honing that skill to be more effective in customer experience communications. It would have to be Moonshot by John Sculley. The quote, "The future belongs to those that can see possibilities before they become obvious", seems to ring true for me. "Consumers aren't stupid." In fact I believe consumers are driving much of the technology needed today in contact centers. Customers expect our clients to be able to relate to them across a wide variety of media and with knowledge of who they are and what they need. Soon, consumers will expect us to solve problems for them ahead of recognition. Customer Experience should be at the center of all business.